"Salt, Fat, Acid, Heat" is the big buzz in the food world right now. 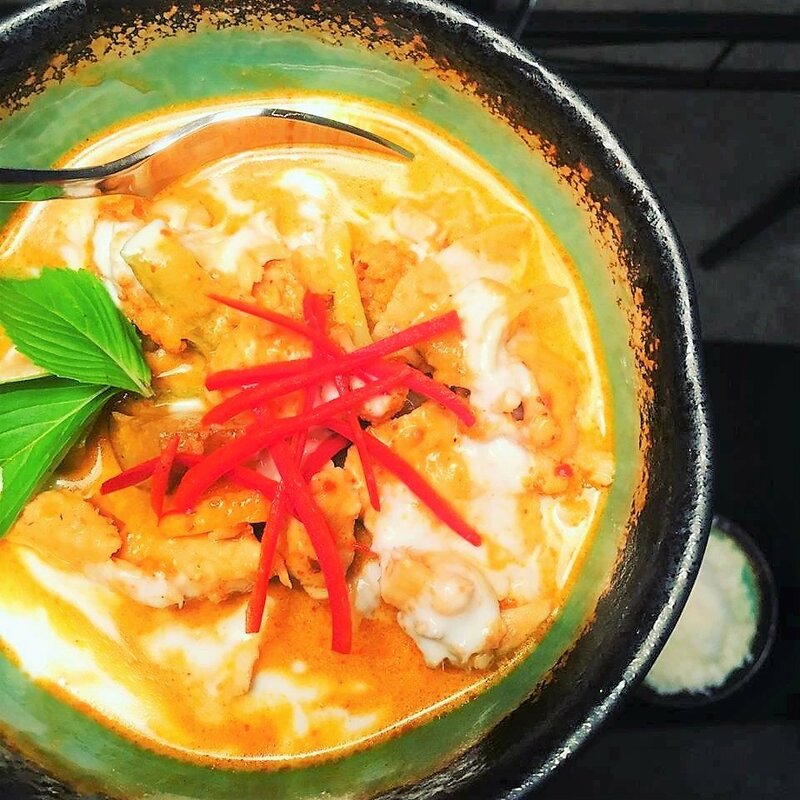 Thai curries are the perfect example of the balance between the four most essential elements of incredible food, and we'll explore the possibilities here. You'll make your favorite curry paste by hand with a mortar and pestle, the traditional way, the way Thai people do it. Each guest makes their own choice of green, red, yellow, or penang curry. Everyone who visits Thailand develops something of an addiction for their curries. They have everything you could want in a meal. They are at once savory, sweet, sour, spicy, creamy, rich, and fresh. It doesn't get any better than this! Choose the curry you want to make! Make the paste in a mortar and pestle. Adjust to your own level of spiciness. Curry paste, choice of: Green, Red, Yellow, or Penang.